Huckleberries are small, edible berries that resemble blueberries in appearance and taste. The berries are native to North America and can also be found in the European regions. Huckleberries are small and round, with varying colors ranging between bright red to dark blue and purple. An article on the Wonderopolis website notes that huckleberries vary in taste, with the bright red ones being tarty and acidic, and the blue and purple ones being sweet. As with other berries, huckleberries are an excellent source of vitamin C that helps fortify the immune system and prevent the onset of various infections. The fruits are also found to promote cell growth and counter the harmful effects of free radicals. The high antioxidant content in huckleberries are known to fend off pancreatic cancer. Aside from this, the rich vitamin C supply in the superfoods are touted to prevent premature skin aging. Huckleberries are also notably effective in promoting the body’s overall cardiac profile. Like other berries, the fruits are known to improve the blood circulation and blood flow to the heart. This, in turn, reduces the risk of suffering from various circulatory system disorders including venous insufficiency, angina, thrombosis, and varicose veins. According to the Healthy Benefits website, the superfoods are also remarkably effective in maintaining healthy blood vessels. Huckleberries are also found to prevent atherosclerosis, a cardiovascular condition characterized by plaque accumulation in the blood vessels. The superfoods are also valued for their beneficial effects on the digestive system. The berries’ high vitamin B content is found to support and speed up metabolism. Likewise, huckleberries are touted to aid the pancreas in digesting sugars and starches. In fact, teas made from dried huckleberry leaves have been used to address poor starch digestion. Aside from this, the fruits are remarkable effective in promoting insulin production and treating hemorrhoids and peptic ulcers. The berries also contain laxative properties that facilitate waste removal and address other digestive disorders such as diarrhea. In addition, huckleberries are an excellent source of potassium that helps improve the body’s muscle tone and nerve function. The high potassium content in huckleberries are also important in keeping a healthy water balance. On the other hand, the fruits’ high iron levels are found to promote red blood cell production. The superfoods are also known to facilitate waste elimination and fortify the urinary system against infections. 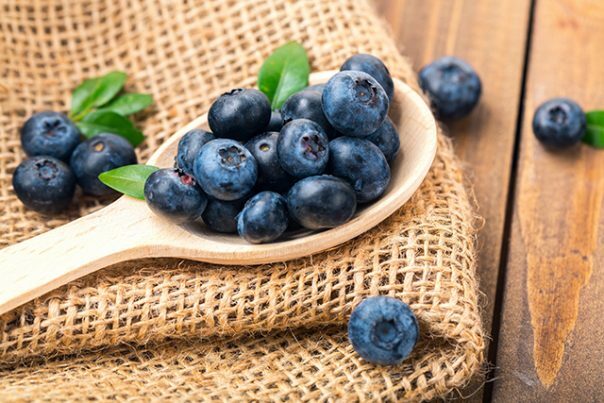 Moreover, huckleberries are touted to prevent the onset of various eye diseases such as macular degeneration. Furthermore, huckleberries are especially beneficial in maintaining health skin and keeping skin-related diseases such as eczema at bay. Huckleberries are remarkable effective in maintaining a healthy immune system. Likewise, the superfoods help keep a healthy cardiovascular profile. The fruits are also known to improve the circulatory, muscular and nervous systems. In addition, huckleberries are found to improve the overall digestion and keep urinary tract infections in check. Huckleberries also promote eye and skin health. Huckleberries’s unique sweet taste make them a staple in a variety of baked desserts such as breads, puddings and cakes. Likewise, the fruits are commonly used in pancakes, crisps and muffins. Huckleberries are also used in as making syrups, preserves and jams. Aside from this, huckleberries are an excellent addition to various salad and soup recipes. Huckleberries also make for an interesting flavoring in a variety of meat dishes. In addition, the fruits are also incorporated in juices and are infused in teas. The online recipe generator The Daily Meal has curated some unique huckleberry recipes across the web. Huckleberries prevent cancer, heart disease, and circulatory conditions. Huckleberries stave off infections, digestive issues, and eye and skin diseases. Huckleberries benefit the immune, cardiovascular, and digestive systems. Huckleberries promote the circulatory, muscular, and nervous systems. Huckleberries support the urinary and ocular systems.